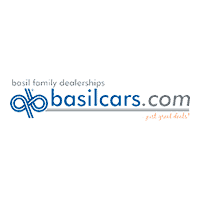 Guided by relentless focus on our core values, shared by each Basil associate, The Basil Family Dealerships purpose is to achieve maximum customer satisfaction today, while building loyal customers for tomorrow. We provide automotive products and services tailored to meet the specific and ever-changing needs and desires of our communities. We build value for our employees and customers through operational excellence in every corner of the company, and through the strength of our commitments to the many people we serve. Since day one, Joe Basil, Sr. has noted that “simple courtesy is not out of date in the automobile business.” Values are what have shaped the Basil organization since we have opened our doors in 1953, and our extraordinary team is what helps sustain these values into the future. We cooperate through integrity, honesty and respect towards our customers and fellow co-workers, sharing our passion, offering superior service to go the extra mile, and positively giving back to the local community. We provide career opportunities in the automotive industry to men and women eager to develop their professional skills, which are essential to our growth and success. Basil employees represent a brand fostering integrity, honesty and respect, while continuously earning the goodwill and trust of our communities. Basil owners actively participate in day-to-day operations with the end-goal of continuous improvement and innovation in superior customer service and the empowerment of the Basil team. Basil’s mission began in 1953, when we earned the business from our very first customer. Over 60 years later, our establishment includes 11 dealership locations and over 800 employees. We pride ourselves on our focus and commitment to Western New York by providing award-winning customer service, courtesy of our exceptional employees. The Basil family includes all owners and employees, the entire community we serve, and our wonderful customers. Our dedication to building relationships with our customers begins by building relationships with our team members. We are committed to providing an exceptional sales and service experience for our customers, and to providing the best career opportunities for our employees. We believe in empowering our associates through business orientation, annual training opportunities, participation in our community events, in addition to manufacturer-sponsored courses. Start your application process by creating a new careers account, or manage your existing careers account!